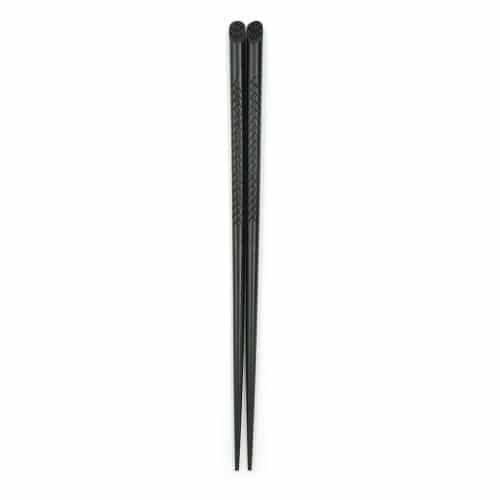 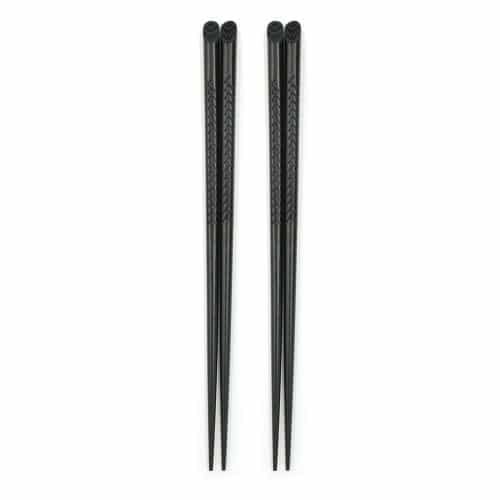 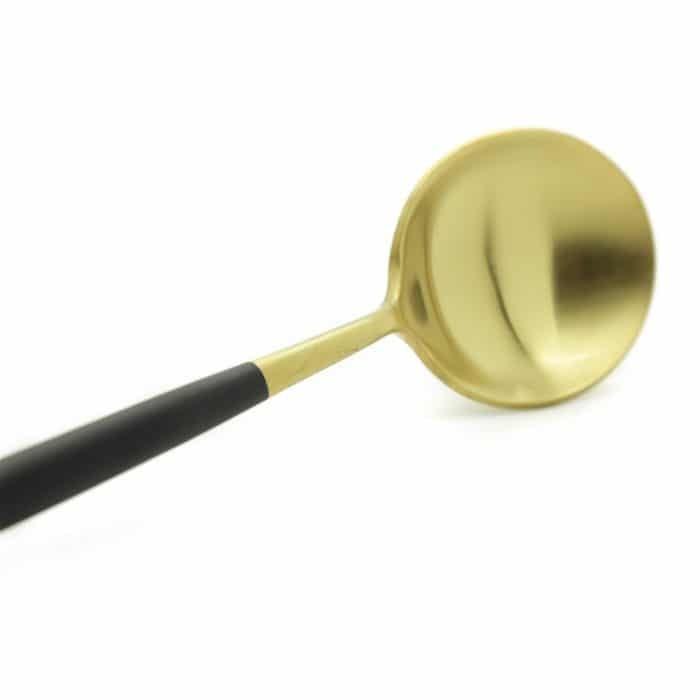 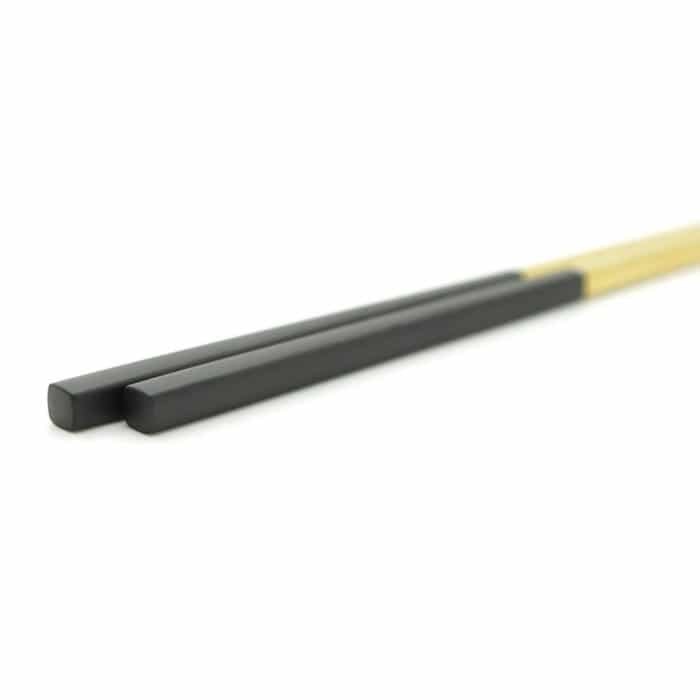 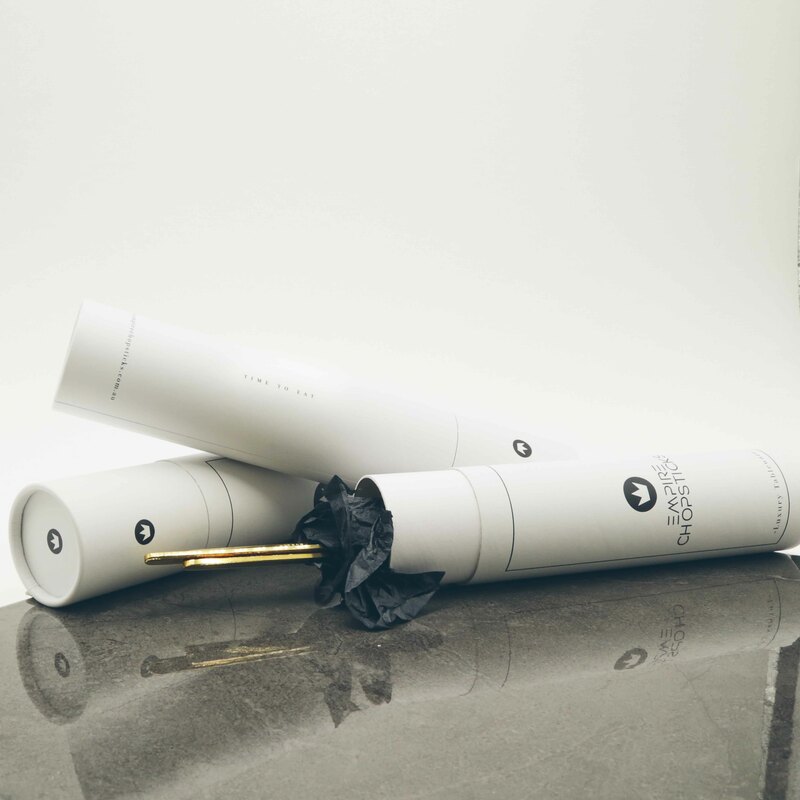 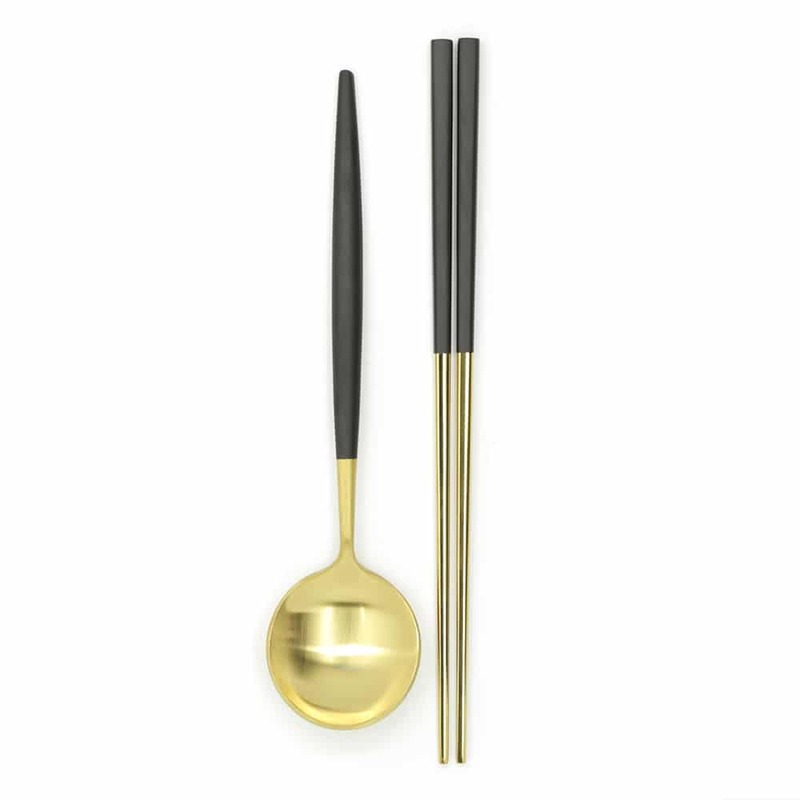 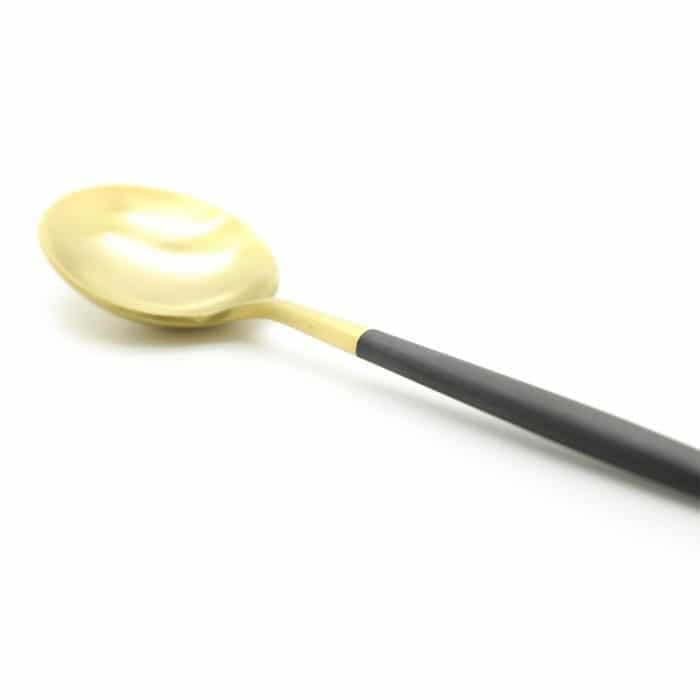 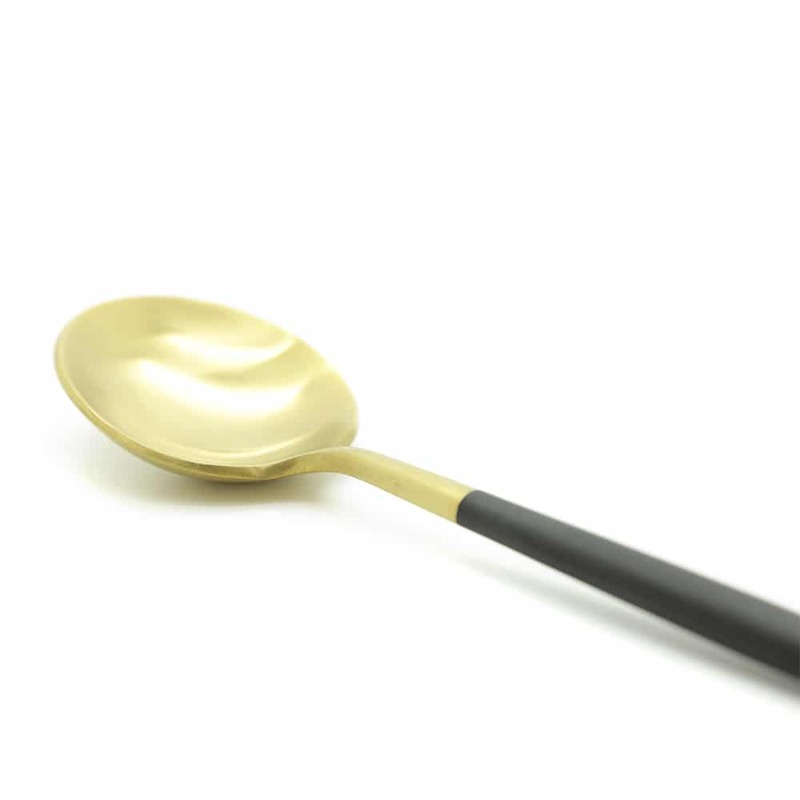 These Black & Gold Korean Chopsticks w/ Spoon will make a luxurious and modern dining experience for you and your guests. 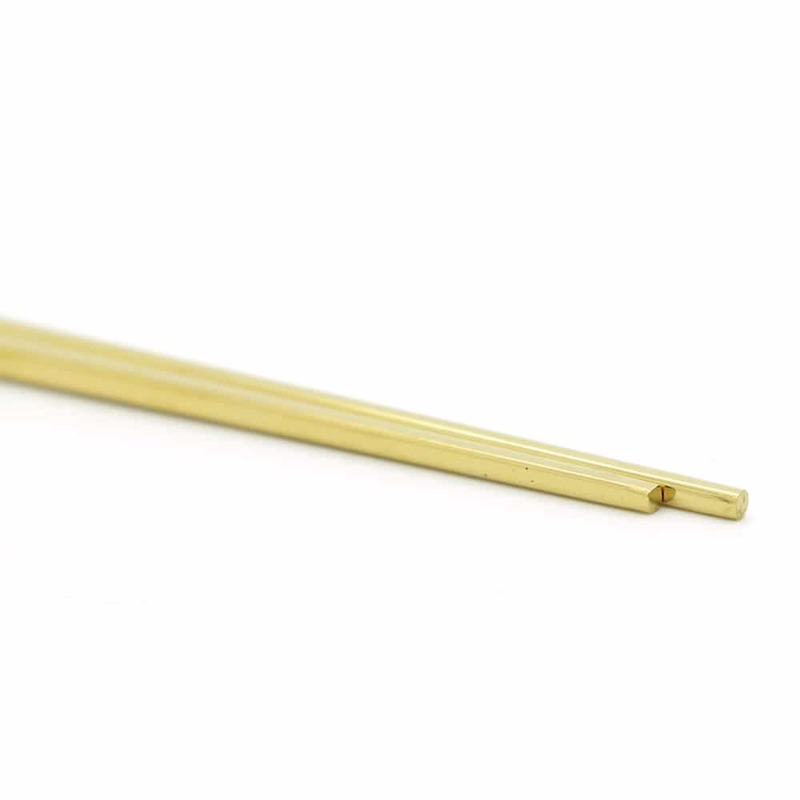 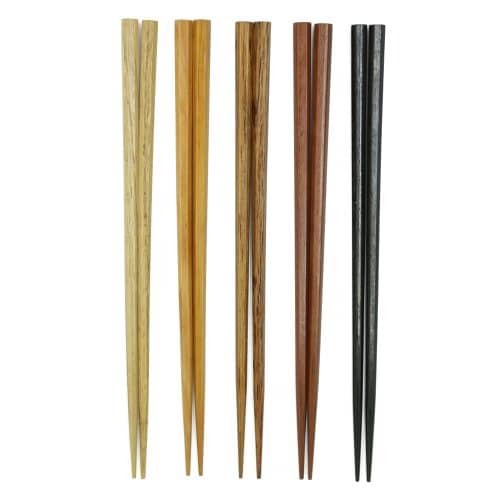 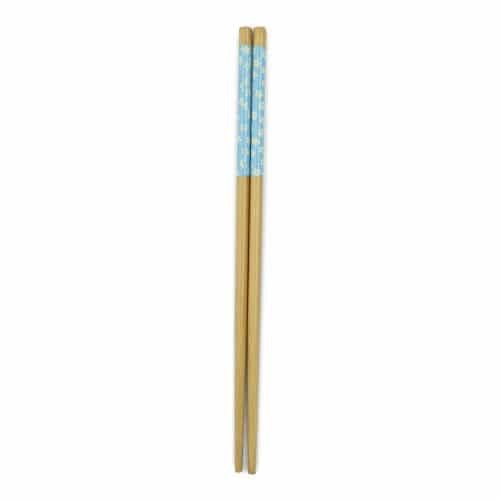 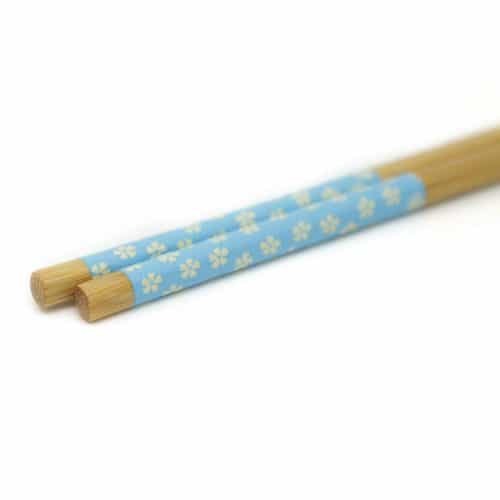 These chopsticks are made from high quality stainless steel making them durable and long lasting. 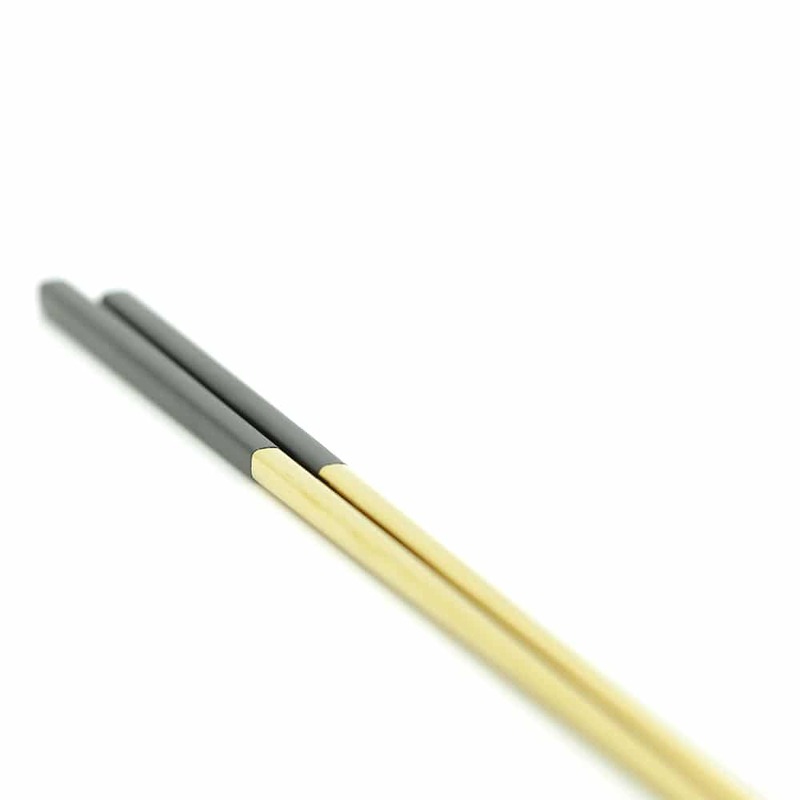 They have a two toned look with sliver on the tip and a matte finish on the long rounded base. 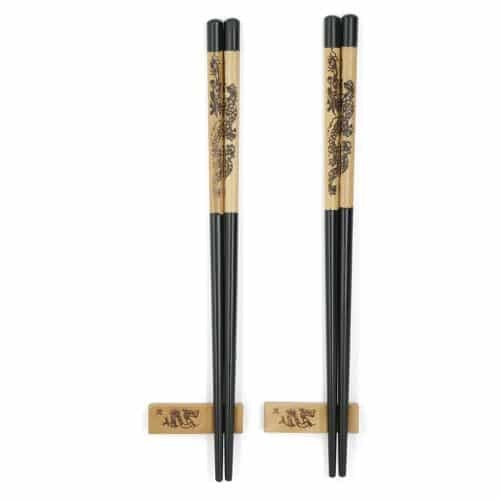 • Package comes with 1 pair of chopstick and a matching spoon. 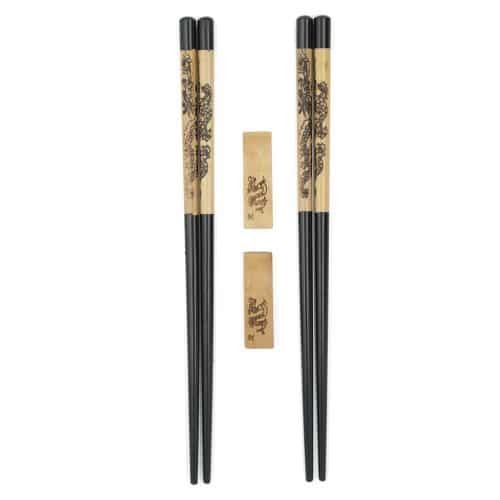 • Please only hand wash this set with warm, fresh water and a mild soap.